Property 17: Jungle Suite, design loft with garden in the city center. Property 30: Beautiful new penthouse with a breathtaking and unique view of Cagliari. 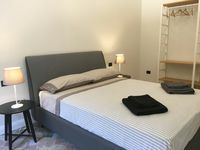 Property 35: Cosy & comfortable apartment in Cagliari, with parking space.